Listen to Shanda describe the Nurses Climate Challenge. 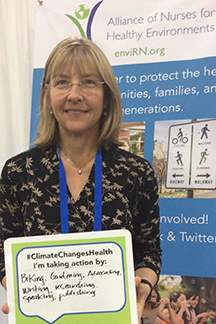 Shanda Demorest, DNP, RN-BC, PHN, Assistant Clinical Professor at the University of Minnesota School of Nursing, is committed to nudging healthcare toward safer practices regarding climate change and health. She has focused her abundant energy and intelligence to lead the project called “The Nurses Climate Challenge”. This exciting resource gives practicing nurses easy to access tools to share important health messages and information about climate change. Listen to Shanda describe the Challenge, and hear more about her passion for the topic. Shanda Demorest, DNP, RN-BC, PHN graduated with her doctoral degree in Health Innovation and Leadership at the University of Minnesota, where she also earned a Certificate in Health Care Design and a minor in Horticulture. Shanda currently serves as a Clinical Assistant Professor at the University of Minnesota School of Nursing. She is also a practicing cardiovascular nurse at Abbott-Northwestern Hospital in Minneapolis. 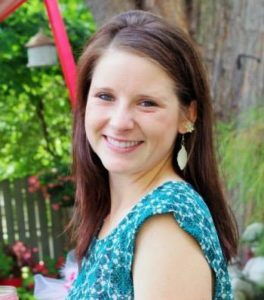 Shanda is a member of Health Professionals for a Healthy Climate, and co-founder of the affiliated student group Health Students for a Healthy Climate. Her current efforts involve educating health students and professionals on the health impacts of climate change and motivating them to take action, as well as working toward a more environmentally sustainable healthcare industry.